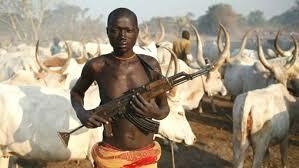 Military promises to arrest leaders of Miyetti Allah if investigations prove their complicity – Royal Times of Nigeria. The Acting Director of Defence Information, Brigadier-General John Agim, has stated that the military will arrest the leadership of Miyetti Allah and their sponsors if ongoing investigations by the military established that they have a hand in the bloodbath in Benue State. Agim made this known yesterday, in Makurdi while reacting to the clamours for the arrest of the group. Various groups and individuals, including Benue State Governor, Samuel Ortom, have called for the arrest of leaders of Miyeitti Allah Cattle Breeders Association of Nigeria, Miyeitti Alla Kautal Hore and Fulani Nationality Movement. 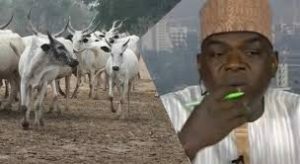 Agim also denied an allegation by the leadership of Miyetti Allah that its members and cows were killed by the military in Nasarawa State. He said the military has commenced investigations into the complicity of the group in last week’s killing of two soldiers and injuring of five others attached to a military operation to end armed banditry in Benue, Taraba and Nasarawa states. Meanwhile, the police have arrested 11 suspects in connection with the killings of over 200 persons in Barkin Ladi and Riyom in Plateau State. The police spokesman, Jimoh Moshood, in a statement on Tuesday explained that the suspects were arrested following the June 24 deployment of the Special Intervention Force to restore peace in the state. He added that they have recorded significant progress in getting to the root of the incident.